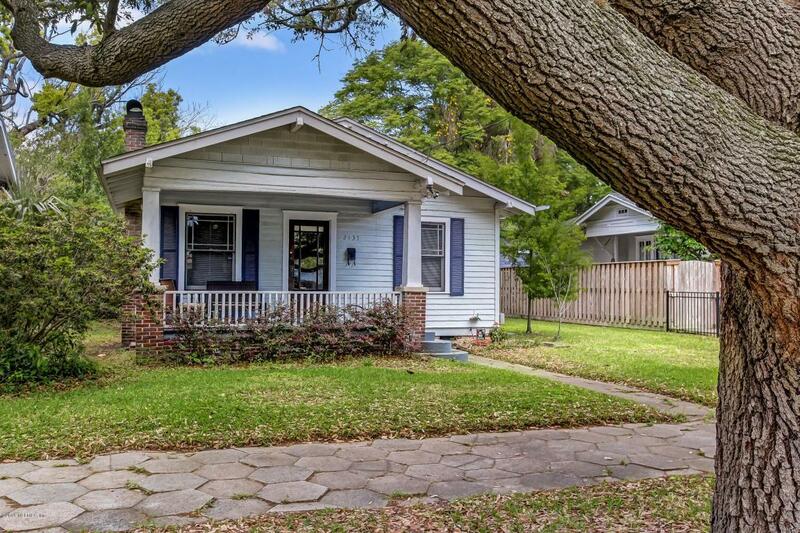 Simply charming Riverside bungalow with many positives. 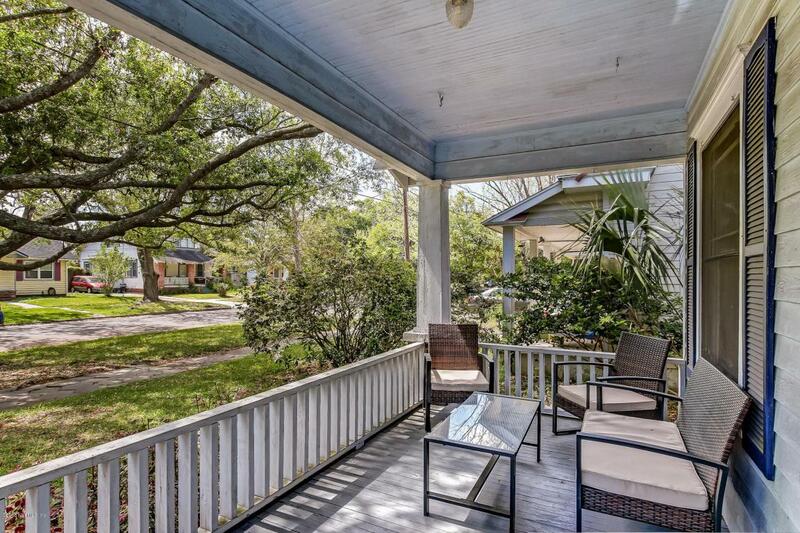 Beginning is a true bungalow front porch perfect for entertaining/enjoying nature. If you're looking for urban living, this location is convenient to 5 Points, Stockton District and the King Street brewery row. 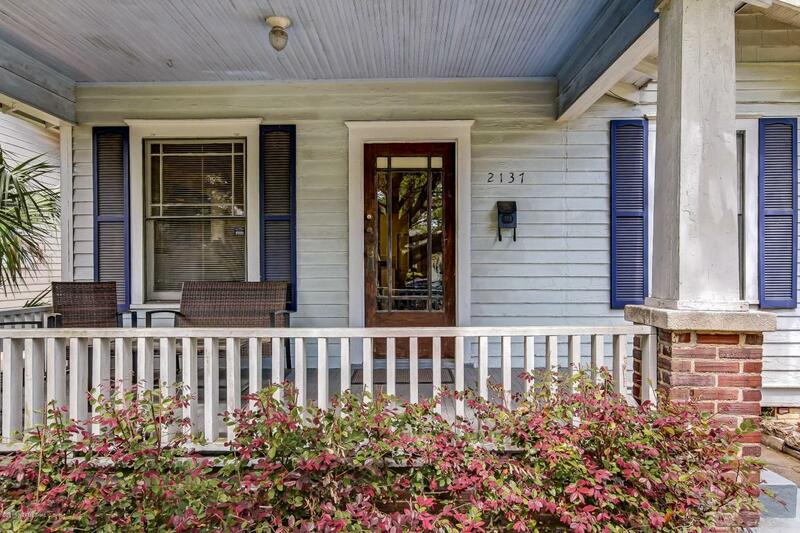 An easy short distance to downtown and Avondale Shops. 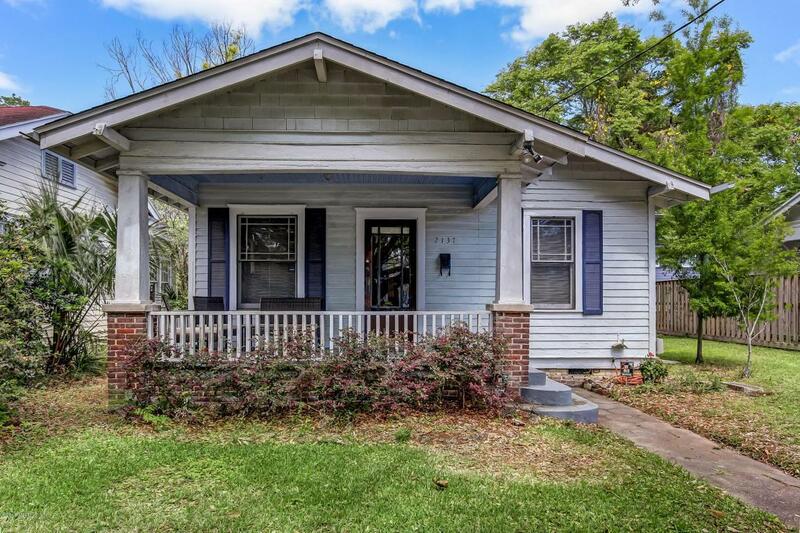 Typical of the era, high ceilings, baseboards, built-in shelving flanks the fireplace, stunning wood buffet/china cabinet built-in in dining area, spacious kitchen, open floor plan, lots of counter space, wood floors throughout. While advertised as 2 bedrooms, there is a 3rd room that can be a bedroom or office or den. It is accessed from the master bedroom and off the kitchen wing. Pantry closet. Inside laundry. Living area over the detached garage not included in SF.